A Levite singer in the Temple; assistant to Asaph, Heman, and Ethan (I Chron. xv. 20). In I Chron. xv. 18 he is called "Jaaziel." 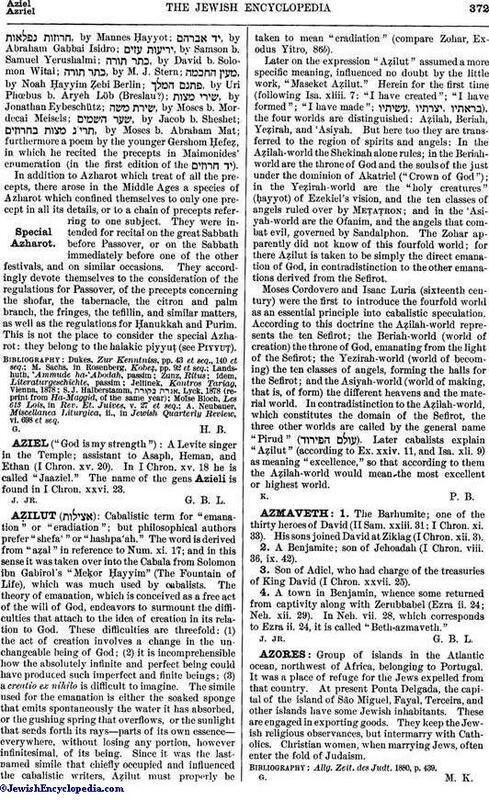 The name of the gens Azieli is found in I Chron. xxvi. 23.